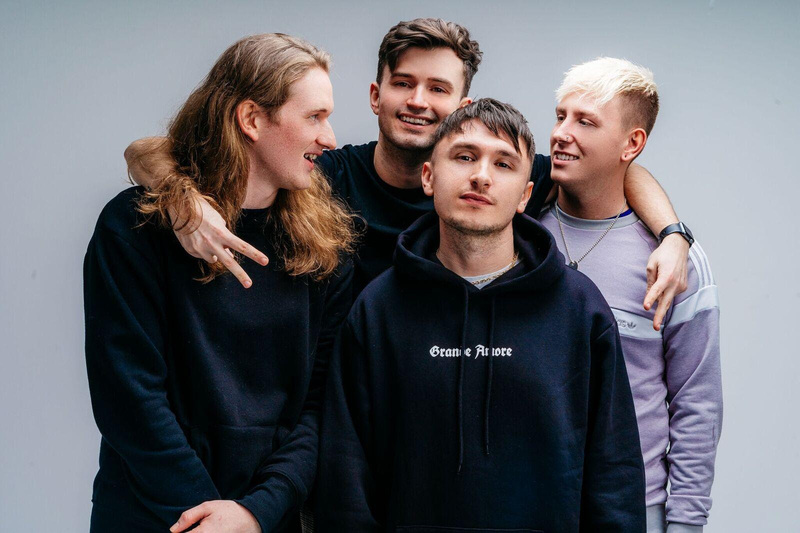 WOES - Return With New Single "Suburbs"
Scottish pop punks Woes make a grand return today, unveiling their anthemic new single "Suburbs". Produced by Seb Barlow (Neck Deep, WSTR, Roam), the track debuts the addition of guitarist Luke Bovill to the band and captures Woes’ meticulous ear for melodies and colossal hooks. Watch the new below. Vocalist DJ explains: “'Suburbs' was the first track we wrote when Luke joined the band. The song is about having a relationship with someone, in your home town or wherever. Then moving away and losing contact with them and wondering what they're up to, if they're still there, if you went back if they'd be pleased to see you”. "Suburbs" is the first new cut from the band since last year’s acclaimed "Self Help" EP, which launched the four-piece into the eye of rock press (KKKK - Kerrang!, ‘Bold’ - Rock Sound, 9/10 - Discovered) and landed a hefty touring schedule; highlights include support to Frank Carter & The Rattlesnakes, Neck Deep, State Champs, 2000 Trees, Download and Slam Dunk. Woes have spent early 2019 working on more new music, and are raring to hit the road again. April and May will see the band return to Europe as support to Millencolin, check out the tour dates below. Woes became a fully fledged proposition in 2016, growing from Edinburgh’s burgeoning music scene. Signing to UNFD, the band released "Self Help" in 2018 and garnered support from the likes of Kerrang!, Rock Sound, BBC Radio 1 Rock Show, Kerrang! Radio and Upset. Woes are more than just a one trick pony, taking pop punk to new heights by embracing their love of pop, hip hop and R&B, and using elements from these genres in their sound. “There is definitely a conscious effort to start expanding our sound, to bring in different instruments and elements that we haven’t used before'', says DJ. “We love loads of modern hip-hop and RnB, which is something we plan to explore more in 2019. We also like incorporating math-rock and prog chords and progressions into our instrumentals… But we still want that pop punk energy live”.